Download included with the cassette. Drumming since his birth in 1976 and DJing since he got a copy of KMD's ''Peachfuzz'' in 1990, Mike Schofield, aka ElekTro4, took his lifelong love for music a step further when he started producing in the late 90s. Since then he has released a handful of 45s and a full length LP on Bully Records. His music can also be heard in various skate and snow videos as well as shows like ''The L Word'' and ''This American Life''. 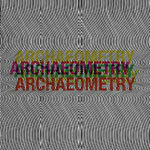 On Archaeometry, his sophmore LP on Heardrums Records, Mike has meticulously pieced together a psychedelic canvas of beats to guide listeners on a soulful trip while quite possibly creating his best work to date.